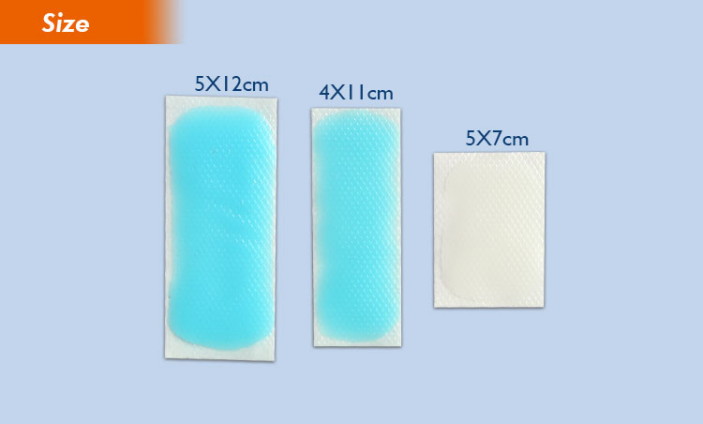 Product categories of Cooling Patch, we are specialized manufacturers from China, Fever Cooling Patch, Ice Cooling Patch suppliers/factory, wholesale high-quality products of Menthol Cooling Patches R & D and manufacturing, we have the perfect after-sales service and technical support. Look forward to your cooperation! This product is based on the principle of percutaneous absorption, made of polymer hydrogel that contains ingredients which extracted from natural plant, has antipyretic analgesic effect , is the best choice for children and adults who is in fever. It contains pure natural plant ingredients, is health care patches, belongs in physical cooling patch, is not drug-induced cooling. The cooling effect will last for 6-8 hours in general. And according to the individual constitution is different, the effect will also be different. We can send you our free samples. 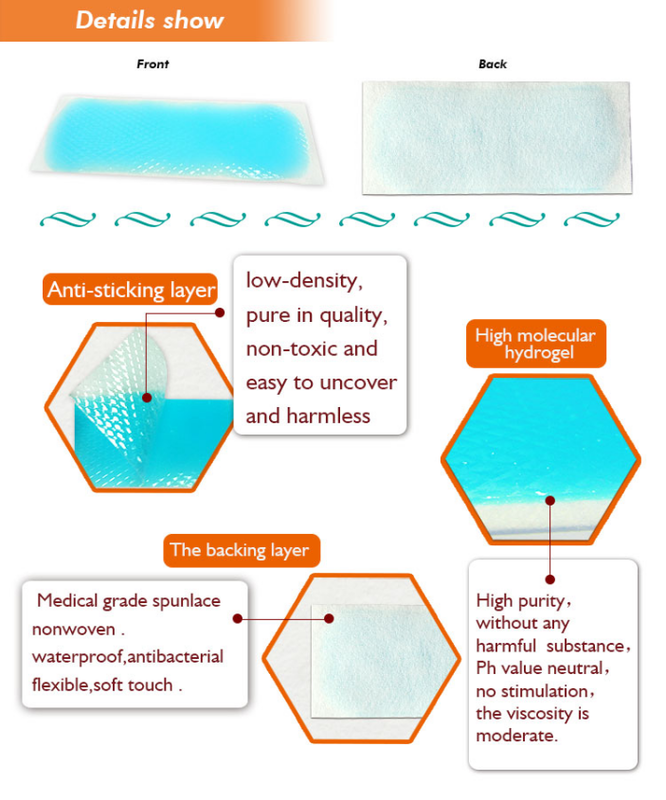 If you want patch that has stonger cooling effect after using the samples, because of OEM service is ok for us, we could increase the proportion of the cooling ingredients. Hydrophilic and macromolecule material, mint, borneol , water. (also according to your exact requirements). 6). If some gel is left on skin, only need to wipe it. We are the manufacturer with ourself factory, and we have over 25 year production experience for Chinese plaster and patch. Sure,We can provide 10 pcs free sample,but you need pay the freight fee. Normally freight fee is about $30-50 via DHL or EMS, you can receive the sample about 5-7 days. Yes,of course.we have done OEM service for many companies in the world,and we can provide the customized logo,package and ingredients for your requirement. First, you select the product and let me know your order quantity and package request. Then, we quote you price offer and freight. If it is OK, we would send you Proforma Invoice for your payment.